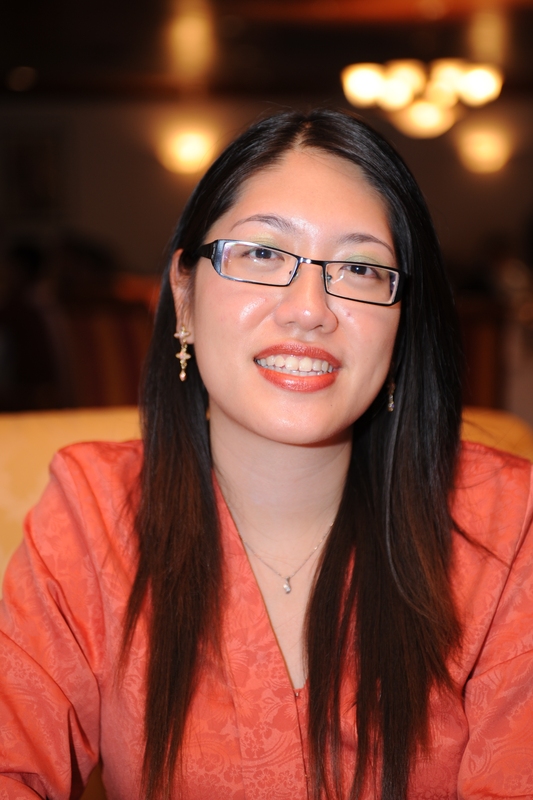 Tricia currently works at the Selangor Menteri Besar’s Office as a Pegawai Penyelidik, or Research Officer. She works on research and policy issues, depending on whichever project is of primary importance at the time. No, she is not a member of any political party and is quite clear about serving the State of Selangor. She is a member of the Advisory Panel at the Centre for Public Policy Studies (CPPS). She graduated from Monash University (Malaysia) with a degree in Econometrics, and has a Masters in Research Methodology from the University of Warwick, UK. So she admittedly loves numbers. She is also part of the group Revolution of Hope Malaysia (RoH). Tricia believes in a Malaysia that will one day reject race-based politics and focus on ideologies and issues. She believes in a Malaysia that recognises the equal human worth and dignity of all, and that policies will follow likewise. She writes and speaks publicly on issues. In her (little) free time, she strums her guitar, stargazes and tucks herself in with a cozy book. The contents of Egalitaria are based purely on the writer’s personal thoughts and opinions. I am impressed with the width and depth of your knowledge and thinking. I’ve heard about you and would like to ask whether you could share a summary of what was presented at the Agora forum held at CDPC on ‘Let justice flow like river: the Church in social action’ with Asian Beacon. I help the editor, Bee Lee, source for articles. I think it’s very appropriate that NECF’s theme for the fast and pray this year is ‘Church, the transforming agent’. Could you call me (012-6905162) or email me (rujuchew@yahoo.com) to talk about the article? thanks. I’m inviting you to my humble blog which features Bible teachings that are not being thought in the Church. Also ,I am allowing my visitors to contact me thru email to express their opinion. Lets be friends and interchange Ideas in CHRISTIANITY. Just see ur page,baca nanti. Tricia, this is the first time, I happen to find your Blog and though having not gone through it but I think Egalitarian thinking is certainly very necessary within the understanding of humankind wrt the Golden Rule of Man as understood by all those who can think. It is not something that flawed Leftism and Communism have tainted through falsely claiming to represent such in the last century. It’s a pleasant surprise to get to your blog this morning. Pray keep up with your good work in public and in your private personal capacity. We all need to be wise as serpent and yet gentle as dove to meet all the world’s challenges! Bless Merry Christmas & Jolly Happy 2008 Year To You & Your Blog Visitors! Impressed~~ I guess we have all achieved something since college! “Tricia believes in a Malaysia that will one day reject race-based politics and focus on ideologies and issues” Me too, I want to believe this suppose to be happen as soon as it could. Obama’s phenomenon create new hope for people like Tricia and me. Hope one day in our beloved country, anyone can be someone including the Prime Minister. But how can we make it happen now? You would be agree if I say, we have a lot of different in our culture. It is not only skin like Obama has but we have too many differences among our people and this is totally different from US society . The key thing is, can we start to close the gap by now, doing and sharing the SAME things in our life? How? Start with education. This is the basic for our younger generation. We can expedite the whole process if all our children go to the same school, talk the same language, mix around with other races. So my first suggestion, we close all the school base on races i.e Chinese school & Tamil School. Why not all of us go to national school? Second suggestion – Let us talk with the same language. I guess it suppose to be Bahasa Melayu because majority of Malaysian people can understand and talk in BM. Therefore, Why should we need any more media in other languages i.e Mandarin/Tamil Newspaper or news on TV in Mandarin/Tamil? Just have media in Bahasa Melayu! or just ban other language including on signages. We have another 2 huge differences – skin color and religion. For now, I just reserve my suggestion. So what can we really learn from Obama? To me it is crystal clear, Obama is well accepted by US community because, he live in one race society. In his society, he has no different from other except his skin color. If we can do as my 2 suggestions above, I strongly believe the chances to have Prime Minister from minority ethnic could be done in less than 200 years, therefore we can make it happen faster than US. Too bad BolehLand is dead while BodohLand.com is the rising star. Tricia, you are are “treasure” of knowledge to Bolehland! May God be with you on the journey of truth, justice and peace. I’would like to say in opinion with wan latif, but as you (Tricia) can say, but the only creature of all know everythoughts and the lords of insignificant may counterpart even the important is hidden and can’t see, thus to mention that the varieties got specific, even the largest has the scrutiny, how about the mothernature has their own natural in the right region, situation, appointment, and etc..has been created with the living and moving ethnic, races, religion or whatever but to mentioned that the world has already form it boundaries and related to its by goodness because some times or once in a while the boundaries got disaster! why not everytime? because anywhere you can find, or negotiate the only one that possible answers could be the limited for the certain to be goodness for all of us. But the limited is not found in a religion of the only book had mentioned.